Note: First I wanted to say that this is the easiest method I found that works with my workflow. Some people may not own three flash drives or may not want to deal with GParted. If that is the case, this method isn’t for you, and you should keep looking for something that will work for you. It should also be said that it would be a lot simpler in the long term to just use a separate physical drive for each operating system. If you ever want to do updates or restore a corrupted OS, two separate drives are always easier to work with. I was determined to go with a single drive because I have a SFF case and got an excellent deal on a 500GB Samsung 850 EVO. i7-3770K, GIGABYTE GA-Z77N-WIFI, 2x8GB 1600MHz Team Ram, 500GB Samsung 850 EVO, 2x3TB Seagate Barracudas (RAID 0), NVidia GTX 980, Silverstone 600W SFX PSU, NCase M1. Copy of El Capitan downloaded from Mac App Store. You need to create a GParted Live USB, Windows Install USB, and Mac OS X Install USB. For simplicity sake, at this point, you should disconnect all of your other drives from your motherboard or disable their SATA ports in your UEFI. Boot into GParted using your Live USB. There are plenty of demos online demonstrating how to use GParted. This guide is long enough, I don’t want to reinvent the wheel. Feel free to comment for clarification. After you select your keyboard mapping and language, GParted should take you into the GUI for the Partition Editor. Wipe out any existing partitions/partition tables from your dual boot drive. Create a new GUID partition table for the drive. Add two new partitions. Size them to however much space you want from each operate system and label them accordingly. 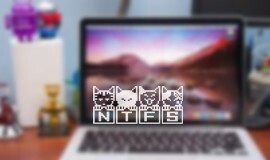 Format the Windows partition as NTFS or FAT 32. It doesn’t matter, you will be reformatting it in a few minutes. The Mac partition must be formatted as HFS+. This cannot be reformatted in OS X, so you will need to get it right the first time. Make sure the the Windows partition is the first partition you create. This is the way I did it, it might work the other way around, but no guarantees. 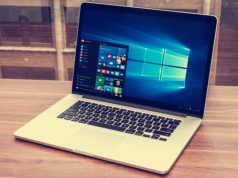 Once you’ve set up your new partitions on your drive, you can shut down and begin the Windows installation. 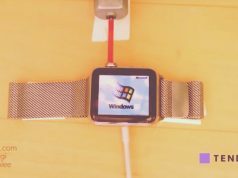 Boot into your Windows install USB. Follow the on screen instructions until you get to the drive choice. At this point, you will notice that Windows will not install on your NTFS/FAT32 partition. No worries. Just delete that partition and create a new one out of the unallocated space. At this point, you should be taken through the standard Windows installation. Once you are finished, it is time to install OS X. 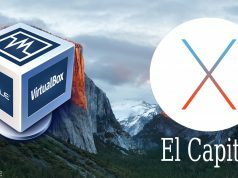 Installing El Capitan: – Plug in and boot from your Mac OS X install flashdrive created using Unibeast. If you are using a Nvidia 900 series GPU like I am, you will not be able to boot into the Mac OS X installer or the operating system without using the boot flag “nv_disable=1”. Once you install the Nvidia Web Drivers, this boot flag will no longer be necessary. When you boot into the Mac OS X installer, the first thing you should do is launch Disk Utility. Select your HFS+ partition, under File click “Enable Journaling”. Without this, OS X will refuse to install on your HSF+ partition. Make sure you complete all of his post installation steps and install the NVidia drivers if you need to. …And that’s it! You should be all set! After I went through these steps, I had a single SSD booting both Windows 10 and El Capitan using the Clover bootloader. For this, we can just use the Mac Multi-Tool bash file that I wrote. It will guide you through all the necessary steps. After the installer is created, boot into it and install your OS X. For best results, use a USB2.0 port directly on the motherboard. Use the flash drive (with clover installed) to boot the OS X hard drive. Install Clover onto the OS X hard drive, but instead of installing directly to the boot0af in MBR, select the options “Install for UEFI booting only” and “Install Clover in the ESP“. Also make sure the “RC Scripts” are installed. Mount the EFI partition of the OS X disk and copy your config.plist and kexts to the appropriate locations. They are the same as they were for the USB installer but located on this partition instead of in an “EFI” folder. You can use Mac Multi-Tool to mount your EFI partition. Ensure you have the appropriate boot flags and etc for your system and update your nVidia drivers if you are using a series 9 (or Maxwell arch) card. Now your OS X part is done. The Clover installation requires an existing Mac OS X System. At this point, you can use the one you created in the first section. We need to create a UEFI bootable Windows 10 flash drive with Clover installed. It’s quite a ride. Download Rufus if you don’t already have it. In BIOS, make sure you turn off the SATA controllers for all hard drives except for the one you intend to install Windows 10 on. Microsoft is still super picky about this and the install will fail otherwise. Now you’re ready to rock, I would make sure to install clover on another hard drive, or another USB drive in the unfortunate event of a failure of your main drive or corruption of your UEFI partition. Then you’ve got a way to boot into the OS still, just in case.